Two Heads Beer Co is raising £350,000 investment on Crowdcube. Capital At Risk. Two Heads Beer Co. is one of the UK's largest independent craft beer retailers, trading as two award winning brands: The Beer Boutique and We Brought Beer. With 6 stores and revenue of almost £1 million, Two Heads is now raising money to fund the expansion of the group with 4 new stores planned. 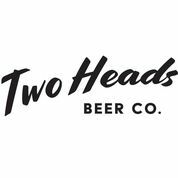 Two Heads Beer Co, trading as We Brought Beer and The Beer Boutique, is a multi-award winning group of specialist beer stores. Across our six sites, we sell over 800 different beers, host numerous events and celebrate beer, helping customers discover a new favourite beer each time they visit. With a focus on quality not quantity, we started the business to share our love of beer and because we want anyone, anywhere in the country to have the best beer on the planet, available just around the corner. Two Heads is a fast growth company with 2017 revenue of £958,991 (EBITDA of -£103,008). Craft beer is booming right now, growing at twice the rate of the mainstream beer market. Meanwhile, off-trade consumption (buying beer to drink at home or anywhere other than a bar/pub) overtook on-trade in 2016 for the first time ever. We believe we are firmly in the right part of a growing market. We are looking to raise investment to expand our concept to more areas within London and the Southeast, where we believe a beer thirsty population are currently being under-served. The way people drink beer is changing and we see ourselves as at the forefront of this change. There are directors' & commercial loans in the business. To see the rest of the Two Heads Beer Co pitch, join now. Join to read more information about the Two Heads Beer Co team, documents, and what other investors are saying about the pitch.